The idea of a cancer vaccine is something researchers have been working on for over 50 years, but until recently they were never able to prove exactly how such a vaccine would work. Now, a team of researchers at the Institute for Research in Immunology and Cancer (IRIC) at Université de Montréal has demonstrated that a vaccine can work. Not only that, it could become an extremely effective, non-invasive and cost-effective cancer-fighting tool. The team's work was published yesterday in Science Translational Medicine. The discovery represents a major breakthrough in the quest for a cancer vaccine, a highly competitive pursuit in which numerous research teams around the world are engaged. Unlike other teams, however, IRIC's looked for a solution in an unusual place: non-coding DNA sequences. In 2000 and 2005, a number of studies were able to show that immune-defence cells (T lymphocytes) are capable of recognizing and penetrating cancer cells in order to attack them. "The longer the tumour is infiltrated by the lymphocytes, the longer the patient's survival," explained Claude Perreault, a principal investigator on the IRIC team, along with Pierre Thibault and Sébastien Lemieux. "In patients whose tumours are under greatest attack by T lymphocytes, a drug developed 12 years ago that stimulates their immune system is capable of fighting 25 per cent of cancer cases," Perreault said. T lymphocytes recognize tumours by the presence of foreign antigens – or peptides – on the surface of cells. However, even if these antigens are recognized by the immune system, they do not sufficiently stimulate it for the lymphocytes to target and destroy them. 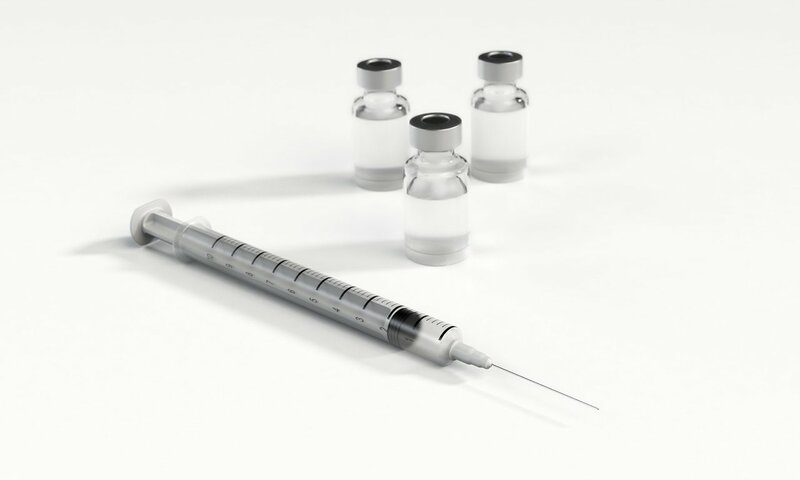 As such, the search for a vaccine has focused on identifying tumour-specific antigens in order to allow the immune system to attack them more effectively. Since these antigens are the result of defective genes, various research teams have tracked the culprits to the portion of DNA known to encode antigens and proteins. But they have not been successful. "This portion of DNA makes up only 2 per cent of the human genome," Perreault explained. "DNA sequences known to be "non-coding" may have been "silenced" by the methylation of DNA that affects gene expression. It is here, in this non-coding DNA, which is estimated to account for 98 per cent of the DNA of our cells, that our work is focused." Using mice injected with various types of cancer cells, the IRIC team was able to identify numerous antigens deriving from the non-coding portion of DNA, several of which were both specific to cancer cells and common to different types of cancer. This allowed the team to develop a vaccine based on leukemia cells containing some of the identified antigens, which was administered to the mice. The results were highly encouraging. "Each antigen we tested eliminated 10 to 100 per cent of the leukemia," said Perreault, adding that "some of the antigens protected the mouse for its entire life, despite the reinjection of new leukemia cells. This suggests a long-lasting effect." The same antigens were subsequently identified in leukemia cells in humans. Perreault describes his team's findings as extremely promising and as opening up the possibility for the development of vaccines to treat leukemia and lung cancer in humans. The IRIC team focused on these two specific types of cancer because they are at opposite ends of the spectrum in terms of the number of mutations at their source. The fact that the vaccine has proven effective to treat leukemia, which is caused by a small number of mutations, holds promise for the efficacy of this therapy in fighting all other types of cancer as well. "We wouldn't have to reinvent the vaccine for every form of cancer," Perreault noted. At the same time, one of the obstacles in developing a vaccine for humans is that our genetic diversity is much greater than that of mice, he added. Nonetheless, he believes that clinical trials with humans could start within the next two to three years. Developing therapeutic cancer vaccines targeting the antigens identified by the IRIC team would be a cost-effective way to save lives, while at the same time greatly simplifying treatment of this terrible disease, notably by limiting the many side effects of chemotherapy. An important factor leading to the IRIC discovery is the institute's multidisciplinary approach to research, which combines genomics, bioinformatics and proteomics, Perreault concluded.